In my earlier post, I’ve praised Android, quite a lot, for its customization abilities. And it is totally worth it. No other Mobile Operating System, be it iOS or Windows, lets you customize the user-interface as per your likes the way Android does. Although you can customize Android (without root) with the help of third-party apps, but with a rooted Android you can discover a whole new level of customization. And here, by customization, I mean advanced customization. 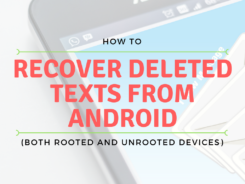 There are various ways and applications which can help you with this, but the one I am going to talk about in this post is Xposed Framework. Now, If you want to know what is Xposed Framework, how do you get it on your phone, how to use it then, you are at the right place, as I am going to share everything that you need to know about this framework. Xposed Framework is a tool which lets you install various modules through which you can bring new features or tweaks to your Android device. Let me explain it to you in a more understandable way. There are various Custom ROMs out there. Lineage OS, Resurrection Remix OS, Invicto OS, Paranoid Android and many more. They are all known for their features which they have to offer. Now, what if you like a particular feature from Lineage OS and another one from Resurrection Remix OS and want them on your device? You just can’t use two Custom ROMs simultaneously. This is where Xposed Framework comes to your rescue. 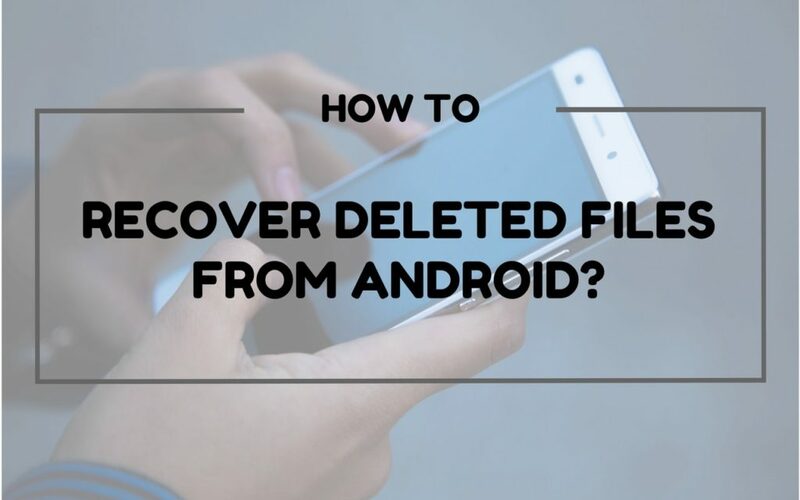 It allows you to pick and install a particular feature without having to flash the entire Custom ROM. In fact, you don’t even need to flash any custom ROM. You can install whatever feature you like just by having a rooted Android device and Xposed installed in it. You can relate it with Google’s Project Ara. What are the disadvantages of using Xposed Framework? Well, unfortunately, this tool is not free from negative side-effects. 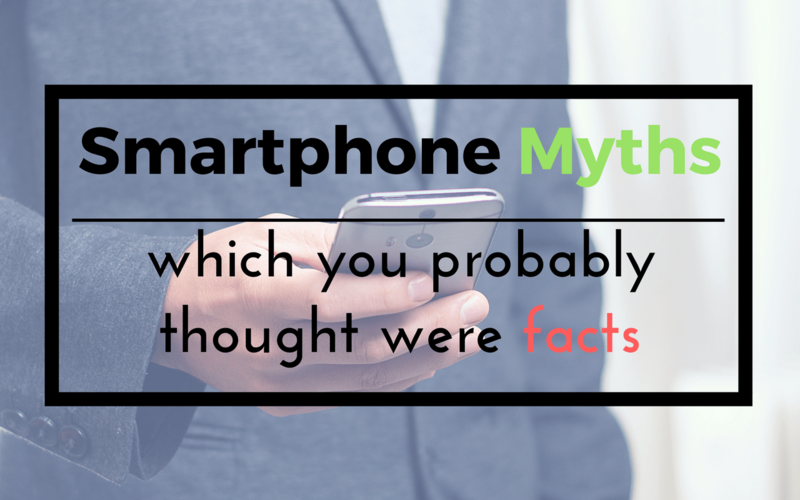 You might end up bricking your phone or getting stuck in a boot loop. So, it’s my advice that before you proceed with installing this framework or installing any module, please do an extensive research beforehand as you might not know what you are getting yourself and your Android device into. DISCLAIMER: Proceed with Xposed Framework at your own risk. I will not be liable for any damage, whatsoever, caused to your device. But wait. Before you move on to the steps to install the framework, please backup all your files using the custom recovery. So, just in case, you mess up with the installation, you can easily restore your files. Step 1. First of all, you need to download the Xposed Installer. 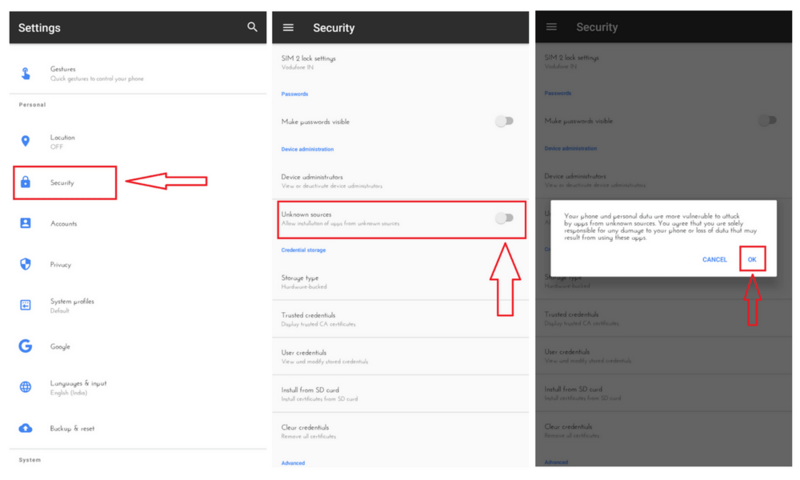 In case you are using Android 4.0.3 to Android 4.4, you can follow this link. And if you are using Android 5.0 to Android 6.0, you can follow this thread at XDA-Developers. For Lollipop and Marshmallow users, you need to flash a zip file using a custom recovery to install the framework. You can find both the zip file and the APK file at the above thread at XDA-Developers. Step 2. 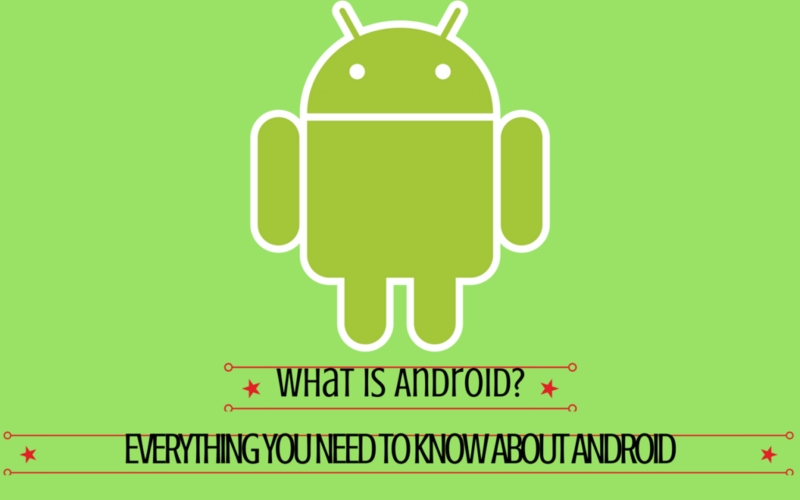 After you’ve downloaded the APK file install it on your Android device. 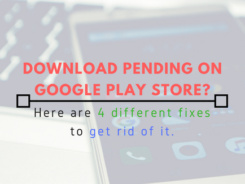 But first, you need to allow installation of apps from Unknown sources on your device. Step 3. Once installed, launch the app and then tap on Framework. Step 4. After that, tap on Install/Update. It will ask you to grant root access to Xposed Framework. Hit Allow. Step 5. When it is done with the installation, just reboot your device and you are done. OK, just installing the framework isn’t enough. You need to install the modules also because that’s where true magic lies. But first, you need to know about modules. 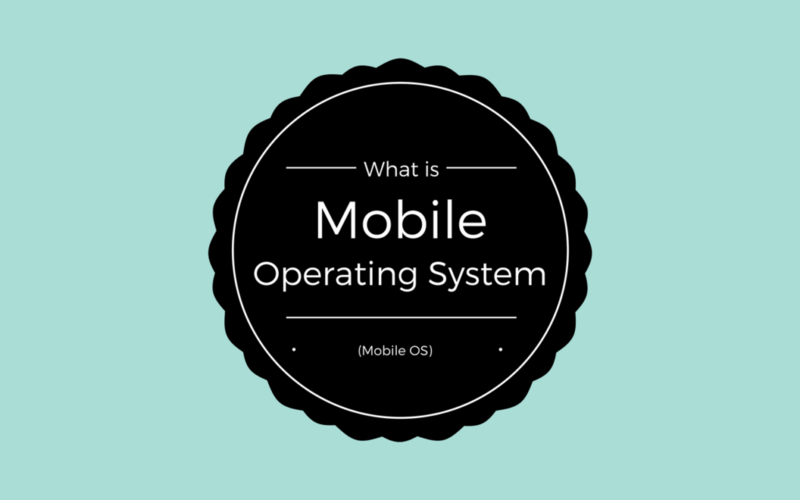 Modules are basically those units which, when installed, gives access to features with system level functionalities. You need to download and install the modules, only then you’ll be able to bring changes to the user-interface. The framework alone doesn’t bring any new features. You can look at it as just an app through which you can download and install different modules, which in turn brings a new set of features and customization options. How to install Xposed framework modules? The modules are the ones where true power lies and installing them is not a big deal. Step 1. 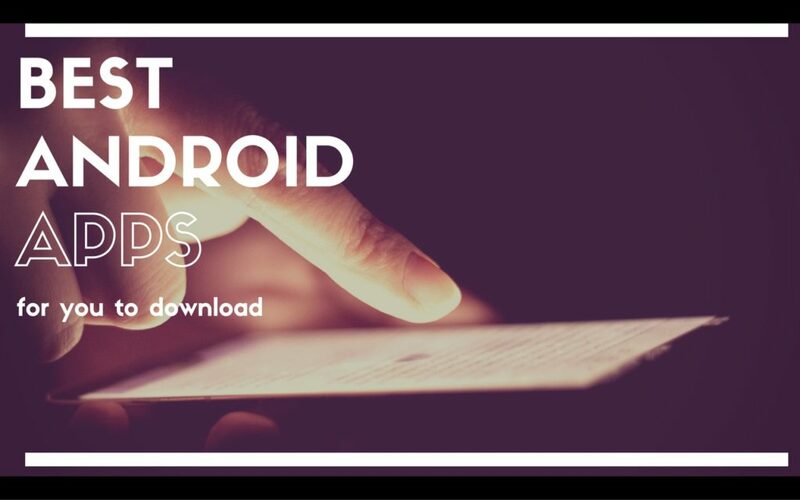 Launch the newly installed Xposed app and tap on Downloads. Step 2. There, on the new screen, you’ll find a long list of modules available. Tap on any modules which you might find interesting. Step 3. Check whether that particular module is compatible with your device or not. You can get an idea by reading the description of the module. If it is not compatible, then go back and find a module which is compatible with your device. Before you download, read carefully the features, description, and comments by the developer. It is important so that you know what you are installing. Tap on Download. Once the downloading is finished, you can install the module just like any other app. Step 4. You can’t start using the module right after the installation. You need to activate it first. Go back to the main screen of the app and then tap on Module. Step 5. Here you will find a list of all the modules that you have installed. Put a tick mark next to the module. Step 6. Go back to the main screen and then tap on Framework. Step 7. Tap on Soft Reboot. 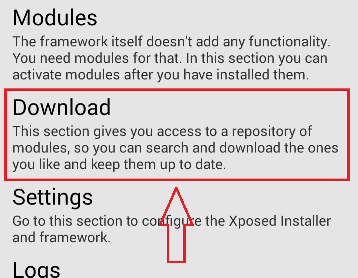 You can access the installed modules by launching the Xposed Framework app, tap on Modules and then tap on the desired module. Xposed Framework is such a powerful app that no one would really like to get rid of it. 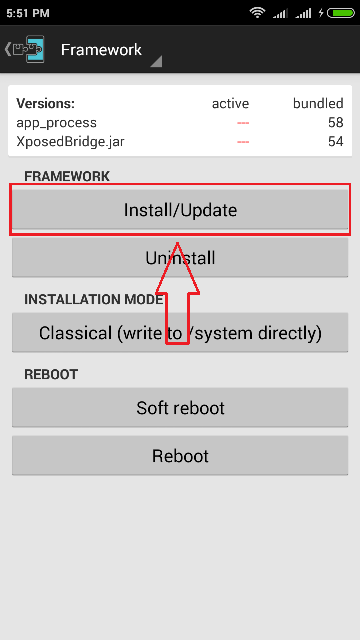 But in case you face a situation where you have to uninstall the Xposed Framework, here’s how you can. 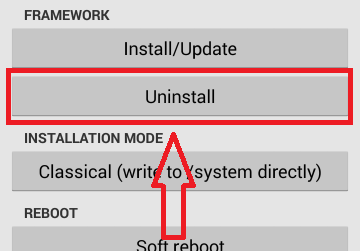 How to uninstall Xposed Framework? Step1. 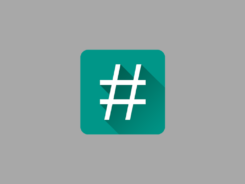 Launch the Xposed Framework app. Step 2. Tap on Framework, and then tap on Uninstall. Step 3. Reboot your device. Step 1. 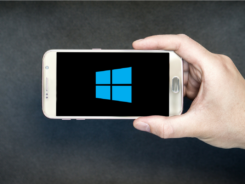 Download the Framework uninstaller zip file on your device from here according to your device’s Processor Architecture – ARM or ARM64 or x86. Don’t know about your device’s Processor Architecture? Download CPU Identifier from the Google Play Store. Launch the app >> tap on CPU, there you can find the Processor Architecture of your device. Step 2. Power off your device and reboot into recovery mode. You can do that by pressing Volume-down and Power button together for a few seconds. Step 3. Once you are in the recovery mode, tap on Install, locate and select the downloaded zip file and Swipe to confirm flash. Step 4. Reboot your device. Just to confirm that you’ve done everything right with the uninstallation procedure, launch the Xposed Framework app after the device is rebooted. Right under the Framework, you’ll find “The latest version of Xposed is currently not active” written. If that’s the case, then you’ve successfully uninstalled the Framework. Now all you have to do is uninstall the Xposed app just like any other app. And you are done. So far I’ve told you about installing the Framework app and also about installing the modules. But which ones to install? There are many modules available out there for you to download and I can say that it depends on the user what kind of feature or functionality does he/she requires. But still, I am going to list down some of the most popular, useful modules to get started with. So, here are the best Xposed Framework modules that can you can try. To say in a single sentence, GravityBox is the Jack-of-all tweaks. With the help of this, you can customize anything…like anything. From the Status bar to the Navigation bar, GravityBox lets you customize everything. You can even tweak your LED Notification light. It’s amazing that such a powerful module is somehow molded in a <5MB module. If you are using Xposed Framework then you can’t even think of not using GravityBox. A must have. If your device is no longer ‘battery-friendly’, then give Amplify a whirl. It reduces wake locks. A wake lock is a mechanism which makes sure that your device doesn’t go into deep sleep. There are certain apps which prevent your device to go into deep sleep, which results in reduced battery life. Amplify takes care of that. It helps your device to go into deep sleep. And hence enhances battery life. Amplify works even better with Greenify, which takes care of background processes. When your device gets booted, some apps start loading during that start-up time. This increases the boot time, affects battery life and affects the overall performance of the device during the initial start-up. BootManager helps you to prevent apps from running on system start-up. All you need to do is install the module and select the apps which you don’t want to run on boot. If you are a multitasker then you might find this module very useful. As the name suggests, with the help of this module you’ll be able to watch videos in a small pop-up window while you are using another app. It works well with the YouTube app. First, play the video in YouTube, hit share, select Awesome Pop-up Video and you are good to go. Apart from YouTube, the app also works on Twitch and Vimeo. You can search for videos, right within the app. Other features are Playlist support, video suggestions, Chromecast™ support, themes and other customization options. Tweaking the user-interface of Android is something which GravityBox does well. But if you are in for a module especially for tweaking the Status bar and Navigation bar only, then look no further than xStana. xStana provides you a variety of customization options to jazz up the Status and Navigation bar. 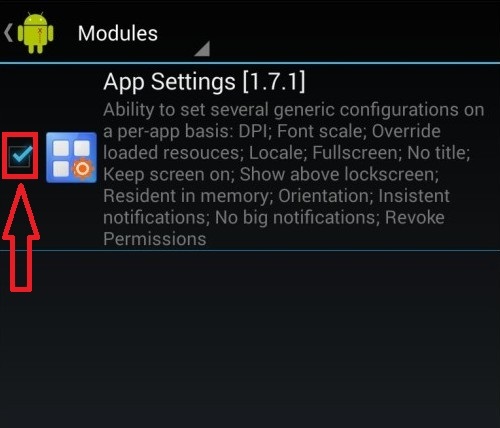 With the help of this module, you can change the appearance of icons in the status bar. You can even set a background image of your choice in the navigation bar or choose from a variety of embedded themes within the app. 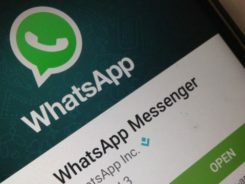 The widely popular messaging app, WhatsApp, has been receiving updates from time to time, but there are some features which are still missing. Features which we all wished for. Thanks to a module called WhatsApp Extension, we can have access to some advanced features and improve our WhatsApp experience. It gives you the ability to set a reminder for replying to a contact, lets you hide delivery report, custom background for every contact, highlight chats, an option to directly call over the phone instead of WhatsApp call and more. Tinted Status Bar is not a heavy module. It offers a very simple customizing option. It changes the color of the Status Bar according to the currently running app. Suppose you are using YouTube then this module will change the color of the Status Bar to Red. It might not be a big deal for some of you, but I believe that it is one awesome module which provides a tiny option. You should definitely try this if you are don’t want any aspect of your Android to be left ‘un-customized’. This module gives power to your Power button. It lets you add, remove and re-order power menu items. 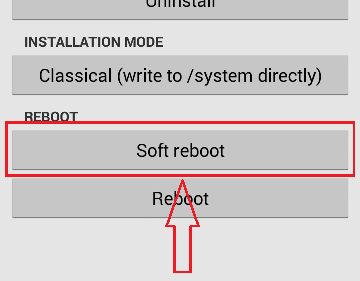 You can add quick settings buttons, advanced boot options like soft-reboot, reboot into recovery mode, reboot into bootloader and a quick dial option. One interesting feature in this module is the Anti-theft helper™. It prevents anyone from turning off your phone or enabling Airplane mode when the device is locked. 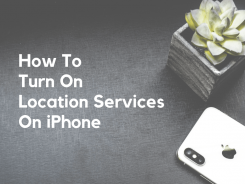 This feature can come in very handy in case of a lost or a stolen phone. App Settings allows you to change settings for each and every app. 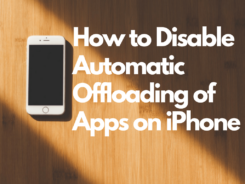 It means that you can have a custom predefined device’s setting for every app. When you launch the app, the settings predefined for that particular app will apply and the moment you exit the app, the settings will go back to normal. Some of the settings which can be predefined are – Screen Orientation, Notification Priority, Fullscreen mode and Mute audio. Although Android has added multi-window feature starting from Nougat, but if you are running Marshmallow or lollipop, you can get multi-window with the help of this module. As you can guess, XMultiWindow lets you split the screen into two different windows and allows you to work on two different apps simultaneously. If you are a frequent multi-tasker, then this module can help you in doing things more easily. I am sure, by this time, you know a lot about the Xposed Framework. So, what do you think about this powerful tool? Which modules do you use the most? Let me know in the comments below. And don’t forget to share this article on the social networks with your family and friends.